Around a year ago Qantas CEO Alan Joyce challenged Boeing and Airbus to design a plane that can make the trip from Sydney to London. Last week, the plane manufacturers seem to come up with a solution to make the 20-hour flight a reality. “We’re now comfortable that we think we have vehicles that could do it,” Joyce said, according to the Financial Review. Joyce said the manufacturers are coming up with some creative cabin interiors to help passengers survive the slog. “We’re challenging ourselves to think outside the box,” he said. The airline is tossing up between the long-range Airbus A350 and Boeing’s 777X, with Joyce planning on placing an order next year. 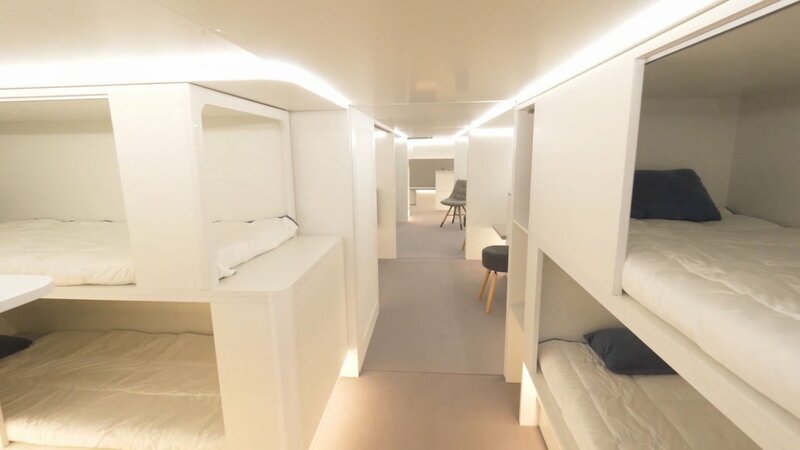 Airbus unveiled sleeping modules that could slot into an aircraft’s cargo compartment which the airline will roll out on their A330, and potentially the A350, from 2020. Passengers leaving Hobart on board a Qantas plane had their travel plans temporarily delayed after an “insect infestation” grounded their flight. Staff at Qantas have started stocking up the office drinks fridge in preparation for Alison Webster’s leaving party, after she announced her resignation. Airline wrap: Hawaiian Airlines launches new route, Air Asia celebrates partnership + more! Soar above your competition and impress your friends with all the latest airline news. Or at least kill a good 20 minutes by reading the whole thing.